In the 1970s when most people regarded glasses primarily as corrective lenses, product designer Cari Zalloni became interested in eyewear and started to develop new definitions for their frames. His approach is based on considering glasses as a form of architecture. Irrespective of the need to wear corrective lenses, Zalloni starts to think about new design solutions for glasses, be they purely aesthetic or functional. From the outset, his designs are spectacular. He draws traverses, emphasizes or deliberately breaks up straight lines, and puts the spotlight on technical details by prominently placing screws as ornamental elements. 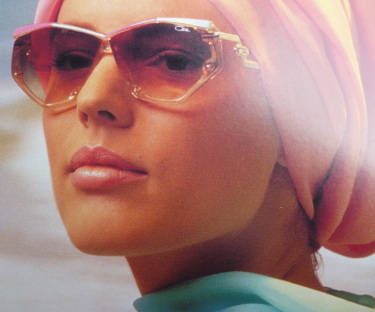 The designer created most of his work for Cazal, the label he founded with Günther Böttcher in Passau/Germany in 1975. Glasses were manufactured in their local factory, where Zalloni constantly moved his ideas forward with new technical improvements. Cheap was not an option either: the ornamental elements of his designs are always gold-plated. The inside of the temples of all Cazal glasses read: Made in West Germany. As a rule, all models don’t have names but simple three-digit numbers. 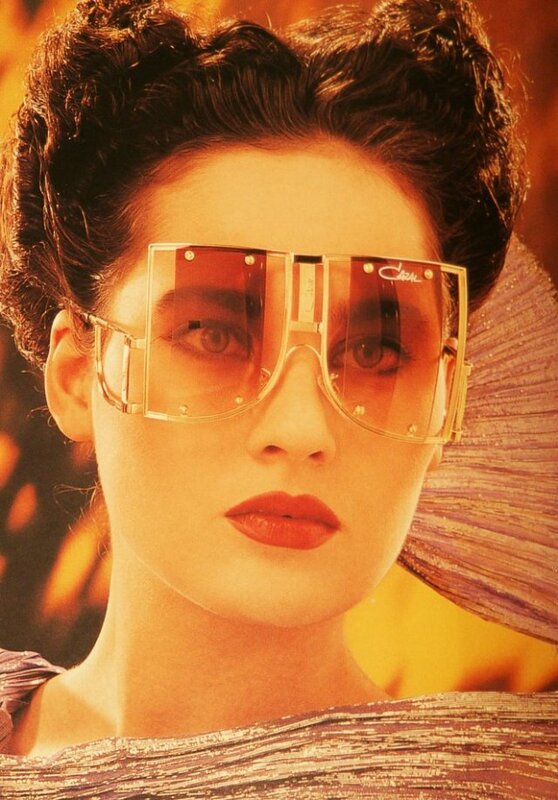 “Cazal eyewear must be recognizable from across the street,” was Cari Zalloni’s credo, a statement that perfectly captured the zeitgeist of the late 1970s and early 1980s. What came as a surprise to the company was the emergence of a counterculture in the South Bronx, New York, that adapted the glasses and turned them into lifestyle accessories of the emerging Hip Hop culture. However, due to the high price point of the eyewear, robberies, assaults and even fatal attacks were a frequent occurrence. Hip Hop artists realized that Zalloni’s designs added not only a fashionable touch, but a note of modernism to their style. At that time, the 904 had already been created: continuous, fragile octagonal glasses featuring the prominent dual temples, which perfectly expressed the architecture-based approach. 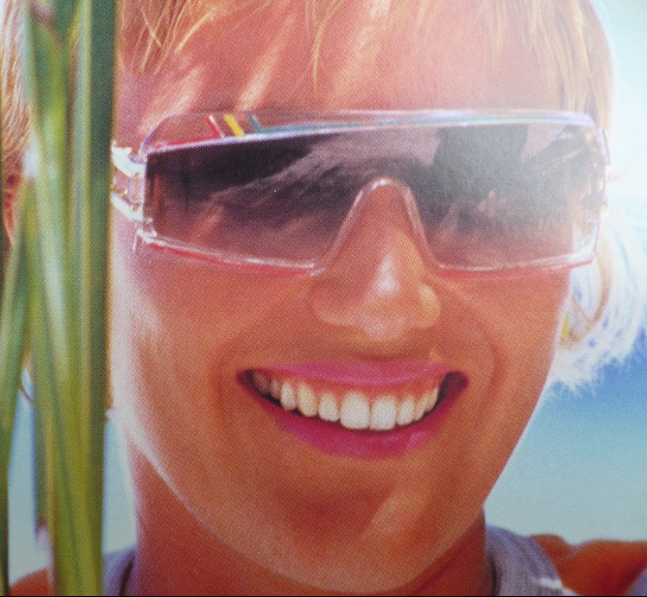 Probably one of his most spectacular designs was the 951: designed as multifunctional eyewear for surfing, skiing or cycling, fitted with a replaceable elastic band and a float, and boxed in a shock-resistant case. The glasses themselves were a small miracle, thanks to the sophisticated ventilation to prevent the lenses from fogging up, and the removable side lenses to provide wraparound sun protection. With the 901, Zalloni interpreted the Targa concept for eyewear and a special lens fixture that gave the glasses an airy note. His most famous glasses were an early work: The 607 is a true icon. Its simple acetate frame imparts a touch of sophistication thanks to its particular shape, and the golden jewelry pieces also serve as hinges and delicately merge into the temples. In the 607/002, these temples were extended and their lines visually broken up. 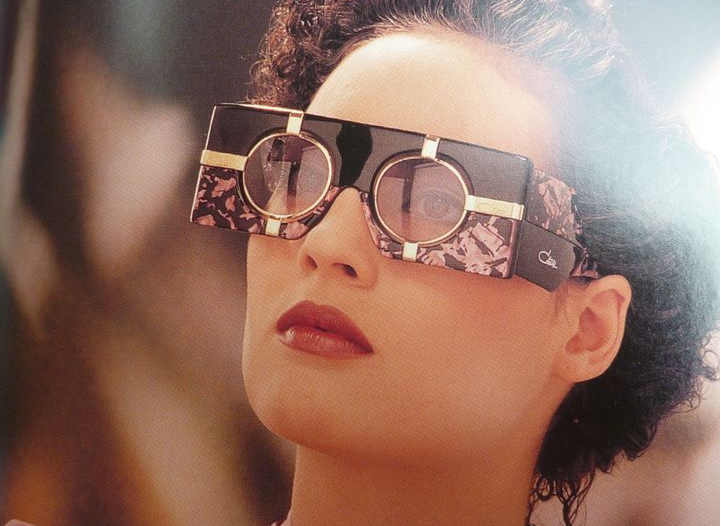 Zalloni’s iconic style has remained an integral part of pop culture to this day, with many artists and pop stars of all genres still wearing vintage Cazal glasses. Cari Zalloni died on July 3, 2012, following heart surgery. Right up to his hospitalization, he had been actively working on designs.